One of my favorite things about Fall is cooking with pumpkin. 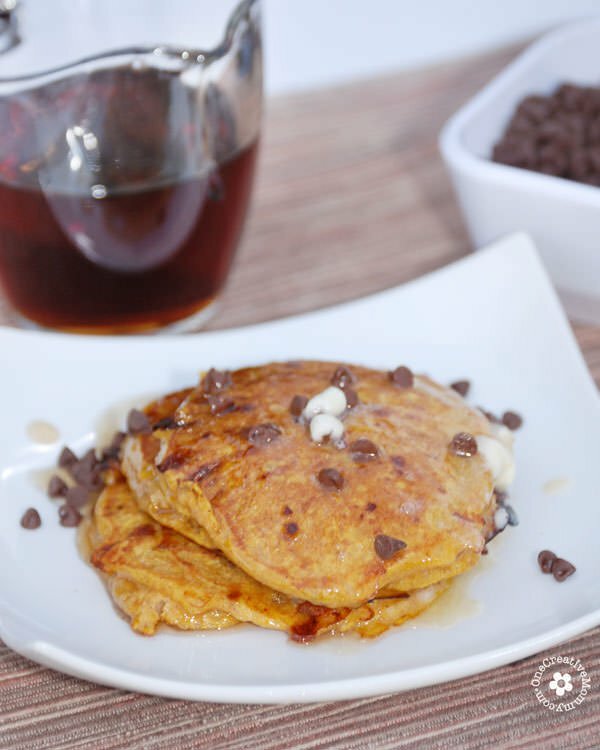 My family loves these gluten free pumpkin pancakes (topped with mini chocolate chips–of course). 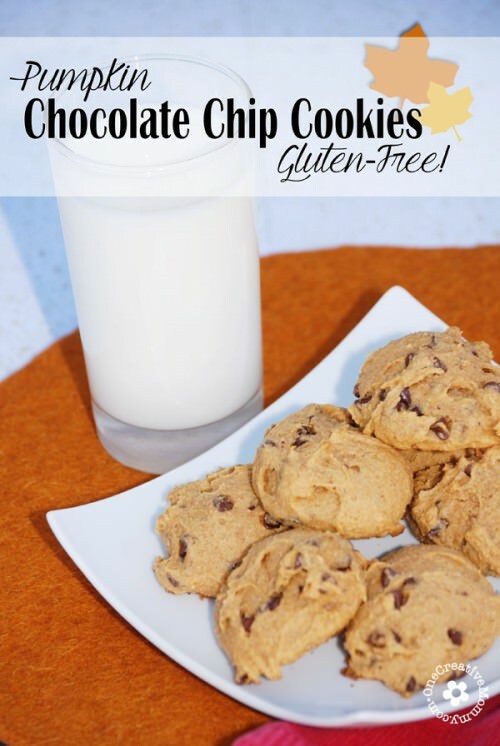 Gluten free cooking is often time consuming and complicated, but this recipe is super easy. I have to laugh, because I think I have forgotten to add the baking powder every time I’ve made this recipe. So, if you are wondering if you can leave it out–you can. One of these days, I’ll remember it, and I bet they’ll taste even better! Adapted slightly from original recipe by Gluten Free Gobsmacked. These pancakes can be made two ways: You can dump in all the ingredients and stir. (Yes, that means that there will be melted pieces of cottage cheese throughout the pancakes) Or, you can blend the mix in the blender to get rid of the cottage cheese lumps. Originally, I used the blender, but more recently, I’ve used the stir method. We actually like it better! 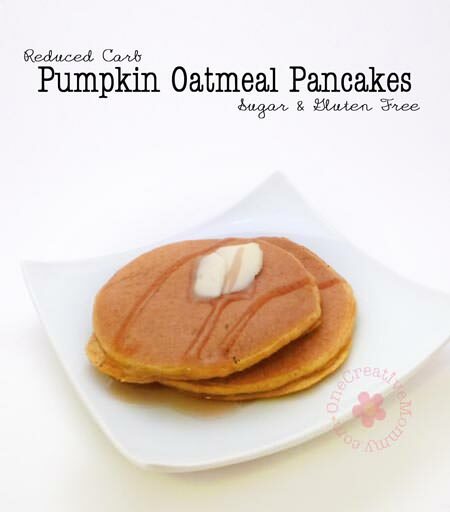 You don’t taste the cottage cheese spots, but they give the pancakes a really nice texture. Try both ways and see which you like better. 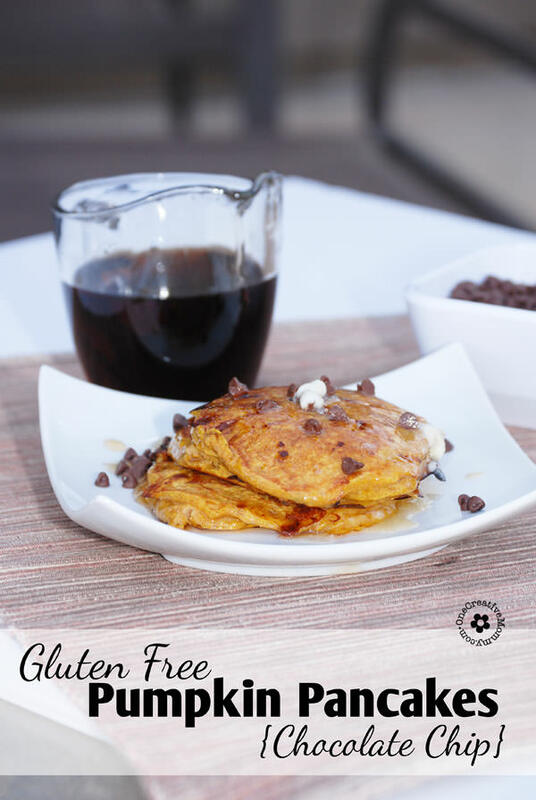 The secret to creating yummy gluten free pancakes is cooking them slowly over lower heat than regular pancakes. If you cook them quickly over high heat, the middle will never get cooked. Coat your pan or griddle well with oil, and heat it up. Once the pan and oil are hot, carefully wipe out the excess oil with paper towels. Don’t burn yourself! Add the batter about 1/4 cup at a time to your hot griddle. Cook slowly over medium low heat, flipping after the bottom is set. Top with your favorite toppings: Butter, chocolate chips, sugar and cinnamon, maple syrup, ice cream, or whatever else you can come up with! The possibilities are endless! Here’s a picture of my original pancakes. (My photography has improved a bit since then!) If you’d like to learn how to make the pumpkin shapes, Check out my tutorial. 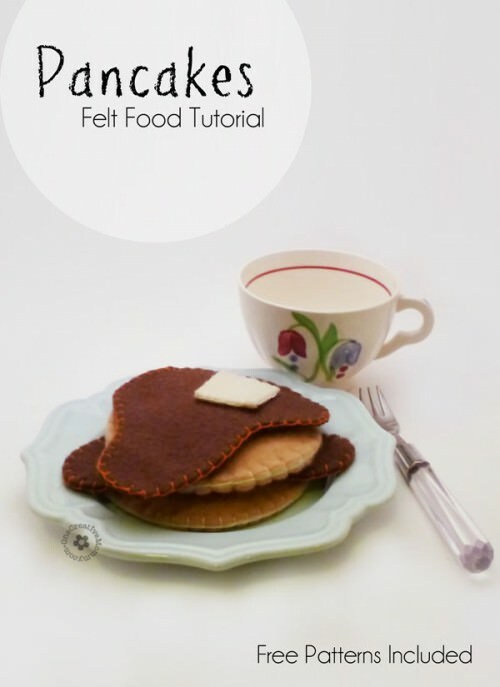 If you like these pancakes, maybe you’ll like these ideas, too. Images below are linked. 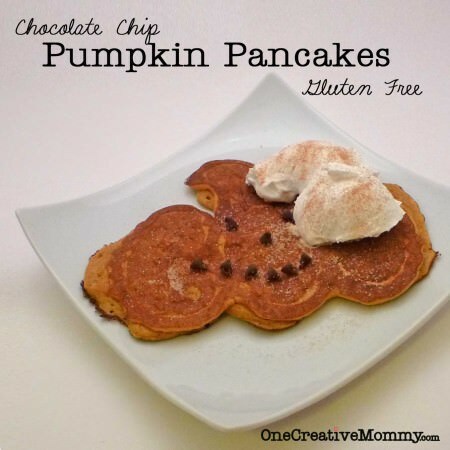 I LOVE pancakes….these gluten free ones sound amazing! Thanks, Marilyn. 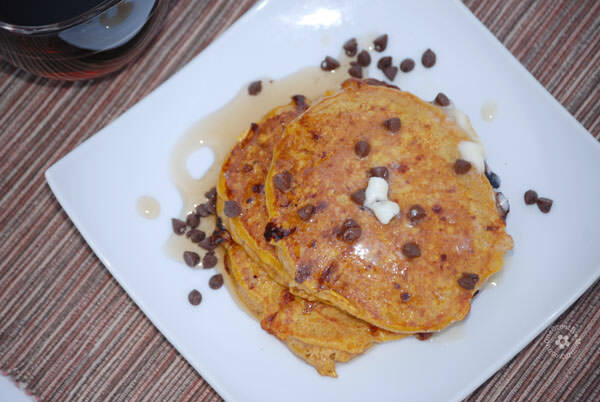 I’m amazed that my kids love them–even though you can see the spots of cottage cheese. (You can’t taste them.) The kids actually say, Yuummmm! while they’re eating these. Crazy! Oh yes, I have no doubt these will be a hit with my family! Thanks so much for sharing them at Savoring Saturdays! I’m going to feature them at this weekend’s party – hope to see you there again! Thanks, Raia! You made my day. Have a great week.